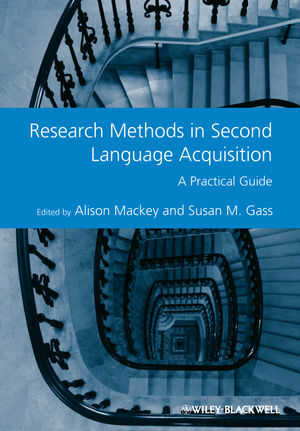 Research Methods in Second Language Acquisition: A Practical Guideis an informative guide to research design and methodology for graduate students and scholars. Each chapter of this volume offers background, step-by-step guidance, and relevant studies to create comprehensive coverage of each method. Alison Mackey is Professor of Linguistics and Head of the Applied Linguistics Programs at Georgetown University. She has published ten books, including Conversational Interaction in Second Language Acquisition (2007), and more than 50 articles and book chapters on second language learning by children and adults. Susan M. Gass is University Distinguished Professor and Director of both the English Language Center and the Second Language Studies Ph.D. Program at Michigan State University. She has published widely in the field of second language acquisition, including Second Language Acquisition: An Introductory Course with Larry Selinker (2008), and has served as the president of AAAL and of AILA.